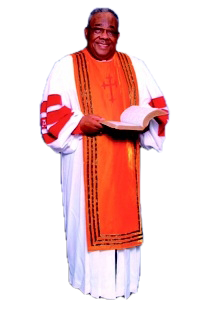 The late Suffragan Bishop Cornelius Southern founded Grace Apostolic Faith Church in 1968 with seven members, including his wife, Evangelist Gussie Southern, their children, siblings and other family members. The first permanent church location purchased was at 7636 S. Cottage Grove. 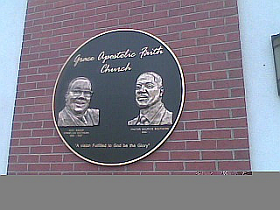 Grace Apostolic Faith Church quickly became an active member of the Illinois District Council under the leadership of the late Bishop John S. Holly. After two years, the church again purchased property for worship at 7118 S. Ashland where the first family lived in the apartment over the church. In 1976, the church relocated to its current home at 8233 S. Exchange and under Bishop Southern's leadership for over 38 years, the ministry grew. The church purchased the property adjacent to its current location and the property became the site for a new edifice. In 2007, the Lord called Bishop Southern home. Before his passing, Bishop Southern expressed his wishes to pass the Pastoral mantle over to his son, then Minister Maurice Southern. The church overwhelming voted to accept Minister Southern and he was elevated to Elder and Pastor of Grace Apostolic Faith Church. Under Elder Southern's leadership, the church was able to bring the Bishop's vision to pass by completing the construction of this new edifice in 2010.